I’m getting into the habit of reading a poem first thing in the morning. I find that when I enter my office with a cup of coffee and wait for the caffeine to kick in, poetry flows nicely into my fuzzy brain. 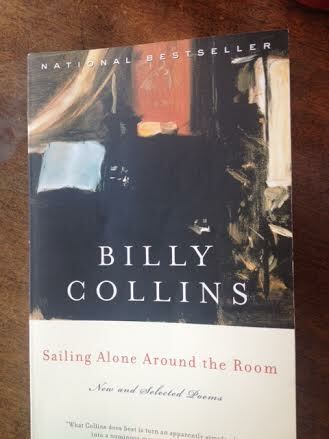 This morning I pick up a book of poems by Billy Collins – a lovely man to wake up with! And he offers me a poem called Tuesday, June 4, 1991. In it, he says, he feels like the secretary to the morning whose only responsibility is to take down its bright, airy dictation… Out the window, he sees the white stars of clematis climbing a ladder of strings, a woodpile, a stack of faced bricks, a small green garden of herbs, things you would expect to find outside a window, . . . I picture him sitting in his home office, with a view of his big front porch painted gray with white columns, and tapping out words on the keyboard. Much like I’m doing right now. Except of course he’s in New England somewhere in late Spring in and I’m on the other coast where it’s February, late winter and unseasonably cold. Last week we had snow on Saturday into Sunday but by Monday afternoon it had all melted. 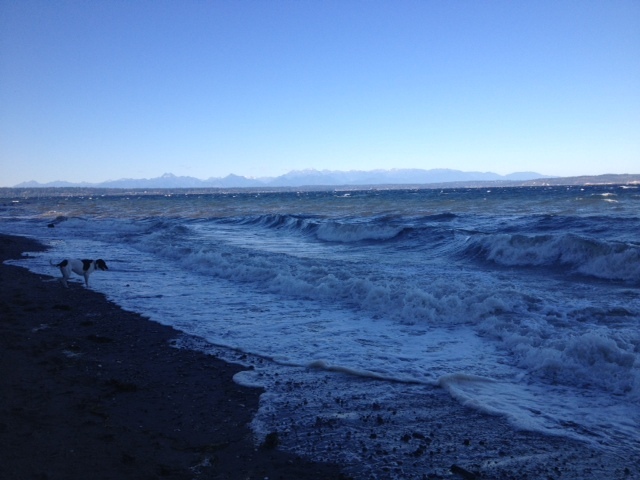 My walk through Discovery Park on Wednesday was warm and balmy and definitely held the promise of Spring. 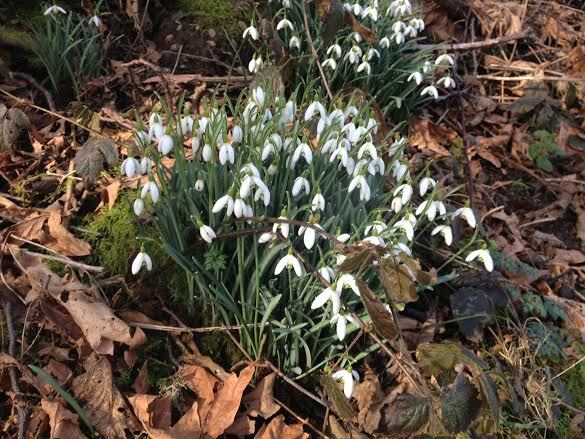 I came across a lovely patch of snowbells in the sun. The view from my window today is all sun and long shadows, the branches of the cedars are rolling on waves of wind. And Puget Sound in the distance is foaming with white caps popping up and diving down. The Edmonds-Kingston ferry seems at a standstill, neither going forward nor backward but stable in the steel-blue water. And the wind has a voice this morning too – whooshing against the window frames. I watch the neighbor’s round orange cat waiting in the corner of her yard for a long while before she takes a mad sprint across the grass and beyond my field of vision. Into the warmth of the kitchen, I imagine. To think I have something (anything) in common with Billy Collins makes me smile. (We’re both looking out the window and writing about it remember!) And that reminds me of an interview I read last Sunday in The New York Times Book Review with Gary Shteyngart. It’s the By the Book feature where an author is asked all kinds of questions about his or her reading interests and habits and finally that one question that always irks me: Disappointing, overrated, just not good: What book did you feel you were supposed to like, and didn’t? Do you remember the last book you put down without finishing? And Shteyngart has the best answer. He says this: I will never publicly admit to disliking a book. Do you know how hard it is to write one? Every time I see a writer crying on the streets of Brooklyn, I give her a hug and nine bucks for a latte at Connecticut Muffin. We’re all in this together. So now I can stop procrastinating and go back to my seemingly endless revisions, because I’m in this with Gary Shteyngart and Billy Collins! And that’s all the encouragement I need. This entry was posted in Rachel Bukey on Writing, Rachel Bukey writings and tagged Billy Collins, Gary Shteyngart, New York Times Book Review, Sailing Alone Around the Room, writing inspiration. Bookmark the permalink. You probably won’t believe this, but as I lie awake in bed last night, trying to get to sleep in the heat, I began to let my mind wander I all I could think about was that I need to read more poetry. 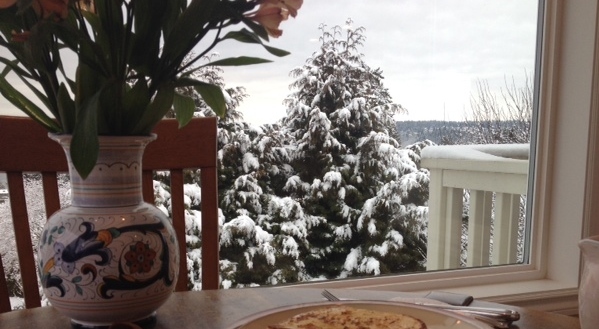 Thank you for visiting my blog so I could find yours and be inspired to read Billy Collins!